Home / Archive by category "CurrentFocus"
Looking for hands-on Excel courses? 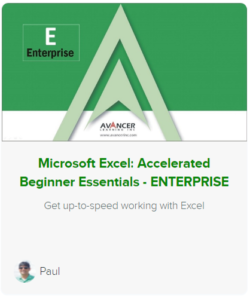 Avancer Learning Inc kicks off its public online workshops with two FREE courses in October - Outlook and Excel. Also promotional pricing on all our courses in October. Head over to our main page to see the course line-up. Click here.